Yep, you read that right, nearly all smartphones in the market have an FM tuner built in them and you can get access to it. So the question arises, why would the manufacturers remove the functionality in the first place? Lets answer that. Why is There No Default FM App? It all boils down to the operating system. Even though there may be hardware built into the smartphone which is physically able to catch and work with the FM transmission, there is no software support for it. So to include an FM app, manufacturers have to spend resources on software development. Which doesn’t seem to be worth the effort according them. Meanwhile streaming services generate revenue and are beneficial for the partner manufacturers. Clearly their self interest lies with the omission of the feature. Let’s get to the good part: enabling the tuner on your smartphone. It should be noted though that not all smartphones have this capability. Although most major brands like Samsung, LG, Motorola and others can be used. To check if your smartphone is compatible, click here. The app in question here is Next Radio which can be downloaded for free from the Play Store. The app does have adverts inside it though and is not available for Pakistani users unfortunately. You can, however, download the APK through the link provided below. The app lets you tune into your favorite local stations without consuming chunks of your data volume. Using the built in hardware for the streaming not only reduces data consumption but also greatly improves the battery consumption. The app does use small amounts of data for things like album art and station logos. This can be disabled and the app can be used in tuner only mode. All you need for improved signal reception are some plugged in wires. The most common type would be the earphones. The app also enables the user to use the phones external speakers. Even if you don’t use FM alot its a useful little app to keep handy for the times when data coverage is poor or you want a little entertainment but don’t want to stress out your battery. He is a certified idiot. This App is not available in pakistan. Why retards are allowed to write on propakistani. misleading headline. I have LG v10, and that has hardware radio, but it is disabled by T-Mobile. 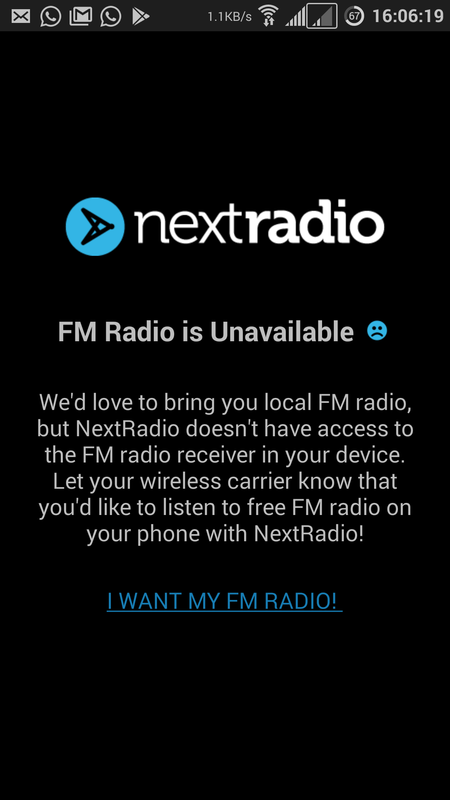 Still good to see that there is an app that enables hardware FM Radio for most phones, if distributer disables it. Fake Report. This app not available in Pakistan. It is mention in the article. Foolish people all around.